Our new flex tree saddle offers an amazing feel to both horse and rider. It's extremely light weight and will make riding down the trail for hours seem fun again. With the same features as our other saddle, if you don't need a solid tree in your saddle to rope out of, this is the best riding flex tree saddle you'll find...with superior craftsmanship. We use roughout stirrup fenders and seat jockey to eliminate sliding around in the seat. This saddle sits your legs right underneath you just like our solid tree signature saddle. This helps hold you in the correct seat position as you ride. It sits on your horse just right...will fit a wide or narrow horse. 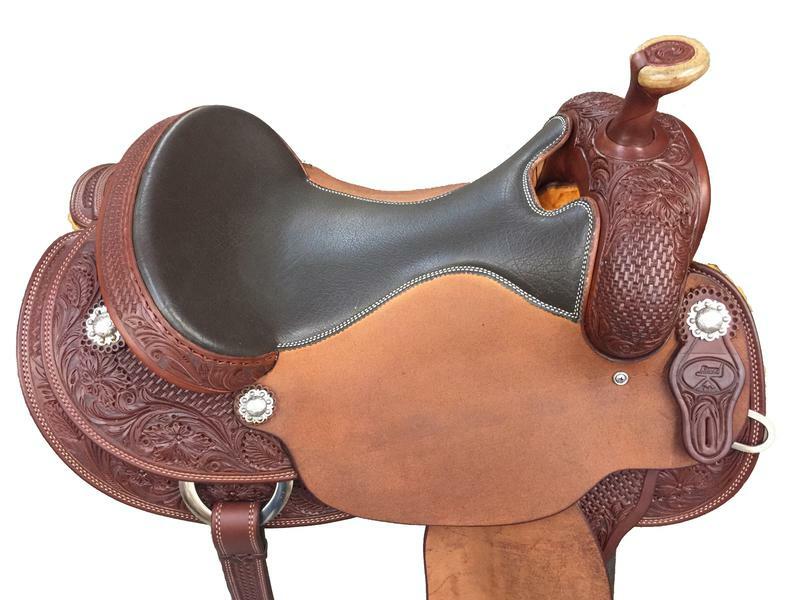 This Saddle is made on a DL Slinkard Cow Horse Tree. It comes with a padded seat, rough out jockey and stirrup finders.